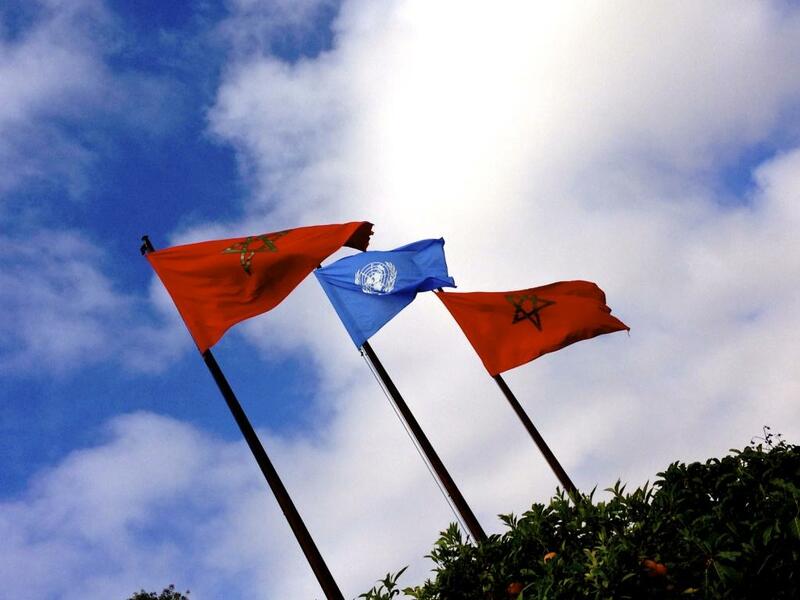 The UN flag flew outside Royal Air Maroc headquarters on 20 June, the day of the signing ceremony. In an exciting new venture, the UN Department of Public Information (DPI) has signed an agreement with the Moroccan airline Royal Air Maroc (RAM) to offer UNTV, UN Radio and UN Photo products on the airline’s in-flight entertainment system and in-flight magazine, as well as in the airline’s terminals, lounges, and displays. Passengers on Royal Air Maroc will be able to enjoy a wide array of UN programmes including, among others, feature stories from UNTV’s award-winning series 21st Century and UN in Action, reports and features from UN Radio in eight languages, PSAs, and striking images from UN Photo in Royal Air Maroc Magazine. The UN delegation led by Mr. Dujarric, who signed the agreement with Mr. Abderrafia Zouitene, RAM’s Chief Executive Officer of Operations, travelled from New York to Casablanca for the June 20 signing event. The ceremony was also attended by local and regional media, the Secretary-General of Morocco’s Ministry of Foreign Affairs, and representatives from the UN Country Team. This is the first partnership between DPI and an African and Arab airline carrier, and the second partnership of its kind. Japanese airline All Nippon Airways began offering a UNTV story every month as part of its in-flight video-on-demand service in June 2012. 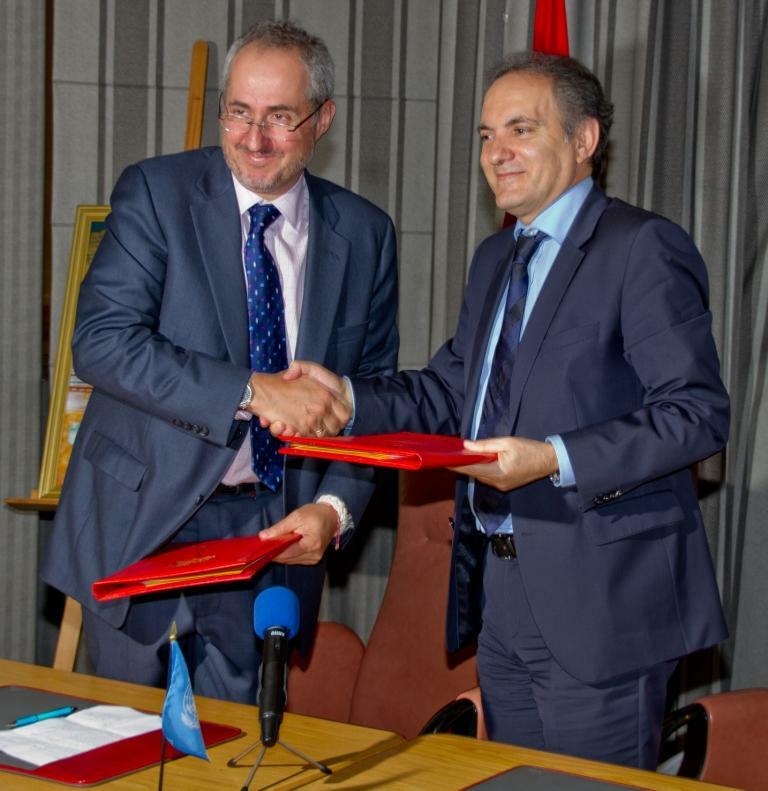 The UN delegation led by Mr. Dujarric (left), who signed the agreement with Mr. Abderrafia Zouitene, RAM’s Chief Executive Officer of Operations, travelled from New York to Casablanca for the June 20 signing event.